Almost half of the Irish drinking population are at risk of health issues, according to new research by Drinkaware. showed that up to 48 per cent of Irish alcohol users are drinking at a level that is putting their health at high risk. relation to alcohol,” said Director of Behaviour & Attitudes John O’Mahony. Short term effects of drinking include disturbed sleep, anxiety and stress, memory loss, blackouts and excessive mood changes as stated on the drinkaware.ie website. While drinking over a long period of time can cause serious long term effects such as alcohol dependency, high blood pressure, liver, disease, cancers and mental health problems. The research was conducted by evaluating the attitudes and behaviours of drinkers. The results revealed that Irish drinkers are concerned about the lasting impact of their drinking habits and patterns with 24 per cent considering it likely that they will have increased health problems in the future if they continue to drink at their current drinking level. The research also found that 23 per cent of adults do not drink alcohol and 44 per cent drink alcohol on a weekly basis. This is estimated to be around 446,000 of the Irish population. 19 per cent of Irish drinkers consumed more than six standard drinks on a single drinking occasion each week in the last year. Only 2 per cent of people could correctly identify the low risk alcohol guidelines provided by drinkaware. 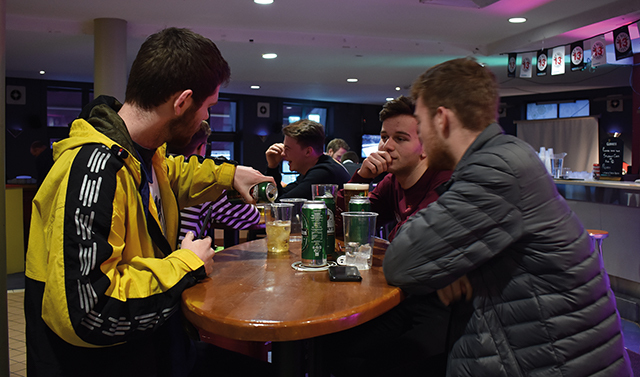 21 per cent of drinkers think they should cut down how much alcohol they are consuming and this statistic increases to 32 per cent for those under the age of 25. The findings highlight the extent of our culture’s pre-disposition towards the over-consumption of alcohol. From the results of the study, “an encouraging finding however is the willingness of key target groups to amend their behaviour in the future,” said O’Mahony.